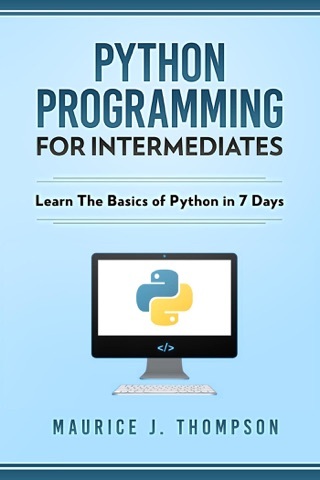 This book will help you to understand the basics of python in just 7 days. Code is the language of the future. And the time to learn the ins and outs of coding is now, unless of course you want to be left behind from the biggest revolution that mankind will witness. So what does it take to be one of those who the masses will rely on to create products, change them and do a lot more with technology? Well, the secret is in learning programming languages because every electronic device runs on some sort of programming language. The question then becomes; so which programming language should you at least prioritize to learn given that there are so many programming languages? 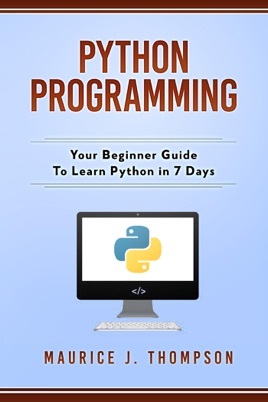 Well, if for whatever reason, you have been looking to learn programming or perhaps looking to improve your programming skills, Python programming language could be the best option you can get right now. It makes everything so easy! From the rich and well-designed standard library and built-ins to the availability of modules and numerous third-party open source libraries, very few programming languages can beat it. Particularly, if you are a beginner who is looking to dip his or her feet into programming, you need to learn a simple language that is easy to understand and that has easy to maintain code. You need to learn a programming language that runs on all key operating systems such as Linux, Mac OS X, and Microsoft windows, and one that is more reliable (does not contain pointers, which is case with other languages based on C). You need to learn Python. Python will provide you all that, and since new platforms like Raspberry Pi are Python based, learning Python will place you at an ideal place where you can enjoy the internet of things of opportunities and anyway (in case you have not yet noticed), Python's popularity for the internet of things is really growing.